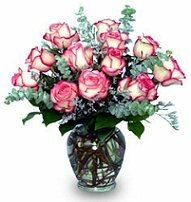 Yoko’s Designs in Flowers & Plantings is a local San Francisco, CA florist delivering courteous and professional service, along with the highest quality floral and gift items around for over 28 years. Welcome to our shop’s website - conveniently open to place orders 24 hours a day!! We hope you enjoy your online shopping experience with secure ordering right at your fingertips. If desired, you may also call us to place orders direct at (415) 563-9656 or (800) 866-9568. Yoko's Designs in Flowers & Plantings is open to serve your floral and gift-giving needs: Monday through Friday 9:00 to 6:00 and Saturday 10:00 to 5:00. Closed Sunday. Wedding & Special Event Flowers ~ Your wedding, special event or holiday party is sure to be a “blooming” success with flowers and decorating by Yoko’s Designs! Call us in advance at (415) 563-9656 to schedule a consultation with one of our talented floral professionals. Wonderful All Occasion Gifts ~ Browse our assortment of Dish Gardens and Green & Blooming Plants for a gift that will instantly bring life to any room or office. We offer Fruit & Gourmet Baskets and Gift Baskets, as well as nice selection of Balloon Bouquets, Baby Gifts, Candy/Chocolate, Gifts, Greenhouse/Nursery Items, Greeting Cards, Home Décor, Scented Candles, Silk/Artificial Flowers, Stuffed Animals, Tropical/Exotic Flowers and more. 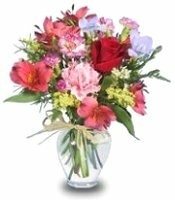 Thank you for visiting our website for flowers delivered fresh from a local San Francisco, CA florist and convenient online ordering available 24 hours a day! !